The Southern Bugle (Ajuga iva) is a herbaceous perennial which is generally found growing in garigue and rocky steppes. It is small in size and rarely grows larger than 15cm. 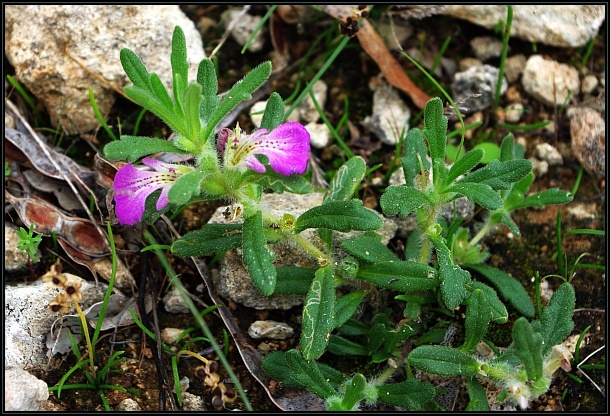 The flowers are relatively large, purplish with a white and brown centre; several dark spots in the form of lines are present in the middle.